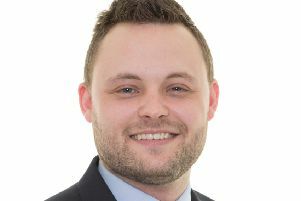 This week, the Government will announce positive steps forward with new legislation to combat domestic violence, writes Ben Bradley MP. Unfortunately here in Mansfield rates of domestic abuse are higher than elsewhere in the county, despite the fantastic work done by a number of local charities and services. The Minister responsible for this area of policy, Victoria Atkins MP recently came to Mansfield to visit with NIDAS domestic abuse service and hear more about their experiences on the ground. We heard some heart-breaking stories, and some incredibly inspirational ones where survivors have turned their lives around with the right support. The new laws will update the definition of domestic abuse to include mental and financial abuse, which are currently more difficult to prove and so often missed as we focus on more obvious forms of physical violence. They will also ensure that victims cannot be cross-examined in court by the perpetrator of that abuse, which is clearly hugely stressful and might prevent them from speaking out, and in future this will only be done by legal represent-atives. The law also focuses on families and children as well as the victims themselves. Experiencing abuse and perhaps being forced to leave a home or live in temporary accommodation can be hugely difficult for children too and impact their lives in the long term, so it’s great to see more funding and support to protect families. I hope that local charities and campaigners, like NIDAS and Women’s Aid for example, will welcome and support this new approach. Though Brexit dominates the headlines and the airwaves there are still some huge strides being taken on domestic issues like this, and dealing with domestic abuse can have a huge impact in Mansfield.